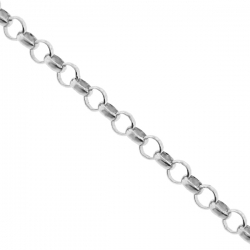 Discover an amazing variety Italian sterling silver chains at 24diamonds.com! 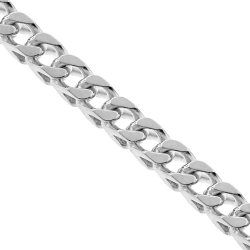 If you are looking for a simple and elegant women's silver necklace, or chic and bold men's silver chain, check our huge inventory of affordable 925 sterling silver jewelry. 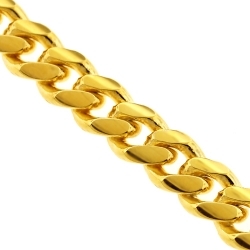 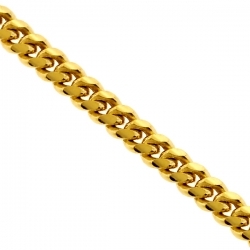 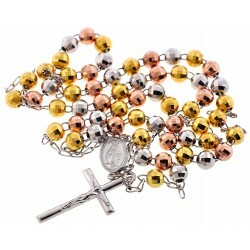 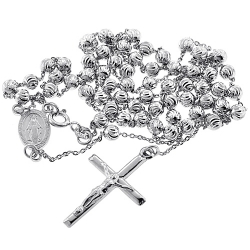 We carry such popular styles as miami cuban link, byzantine, franco, rope, figaro, box, rosary and some other. 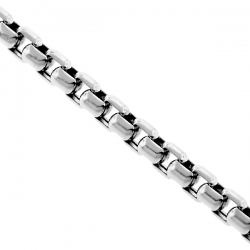 All silver necklaces are covered with white rhodium that gives a dazzling look and prevents tarnishing. If you need an extra fashionable touch, yellow and rose gold plated chains are available. These multicolored silver chains for men and women are made with latest technologies that make the gold plating looks like a regular gold and last for a really long time without changing its original color. 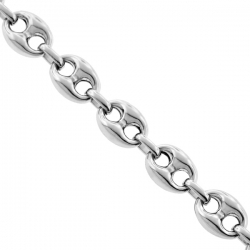 Most the featured chains are secured with user-friendly and safe spring ring, lobster claw or box clasps. 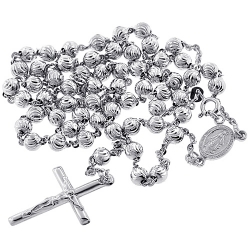 Each and every presented item is made from real silver in Italy and has .925 stamp to verify the metal's authenticity. 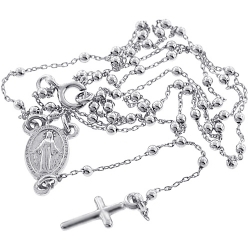 Find an ideal silver necklace to wear alone or paired with a lovely charm!